With less than ten days left to end the year, and a new 2014 starting, it is evaluation time. How was your 2013? Did you achieved what you planned? Many people set goals that only last a month or perhaps a week, (it does happen to everyone, including myself). The truth is that it is a challenge to keep them going. But life is a challenge in itself. So if you really want to accomplish your goals, you will need to set up a challenge for yourself. It is time to be accountable and responsible for your life. So start setting goals, take actions and do not stop till you achieve them. Some people set goals in health, business or family, Perhaps you want to lose some weight, or earn some extra dollars, perhaps you want a new house, or a new car, or being a better parent. What would you like? You can set any goals you want and dream about it. I believe that there are certain areas that go all together. Let’s face it. We are a soul in a physical body and the physical is connected to the spiritual, and the mind. So when you set goals in for your physical body, like losing weight or being fit, the results will reflect in your family life, or your career. When you lose weight (if that is one of your goals), you feel better about yourself. Once you feel better about yourself, your self esteem increases. A higher self esteem helps you to function better at work. And if you function better at work, you have a greater chance of getting a promotion or getting additional business. When you do that, you will earn more money, and that will give you peace of mind, happiness as you could do extra things, like taking holidays with your family. There are six types of goals that we should all have in our goal lists. .If you stick to them, you will see a difference in your life in 2014. Health: Everyone could do with a healthier life.. Even if you are already leading a healthy lifestyle, our goal should be to keep up with it. You may have to lose weight, or put on weight or you maybe happy with your weight. Perhaps you need to eat healthier or exercise more Whatever it is that will help you to feel better about your body this coming year. A healthier lifestyle will not only increase your self esteem, but will increase your energy, vitality. With more energy you will be ready to tackle other bigger goals. If you love life and love yourself you will want to live up to 100. And I can assure you that you will need all your health goals to still be healthy at 100. Smile: It takes less muscles to smile than to frown. When you smile your mind automatically switches to a positive mood. You cannot be depressed and smiling at the same time. Also when you smile, your body releases endorphins which help fighting stress. So if you find yourself in a stressful situation, just smile, and stress will dissipate. Smiling is in addition healthy. When you smile, your body produces white cells that fight illnesses, therefore strengthening your immune system. Be charming: We are here in this world surrounded by people and a much as we think we are independent and we do not need anyone, we need others in many ways. We do interact with people every day, from loved ones to co-workers or clients. Being charming makes you more likeable, and many doors will open for you. In addition, by being charming you get the pleasure of making others feel like a million dollar person. Be grateful: Being grateful is acknowledging what you have and being thankful for that. It is sad that we do not always remember the good things. Working on gratitude and being thankful for what you have instead of thinking of what you want, will bring abundance into your life. More than abundance will also bring joy, and peace. Self development: There was a time we thought that once you had finished school and you had graduated from university, there was nothing more you needed to learn. That is so far from the truth. Keeping updated with technological advances in your choice of career is crucial, but it is also imperative to study self improvement matters. Reading and listening to books that teach you about how to live a meaningful life, and implementing the suggestions can change your life in just 30 days. Setting goals will not help you much unless you have the self discipline to do what it needs to be done when it needs to be done. Remember to make progress in 2014 or any time you need to work on your self discipline. So this is one of the most important goals to work on. Once you get self discipline going the rest will follow. So here are the six goals (more like areas) in which I consider important to set goals Of course you can set more goals regarding your career, money, travel and the rest. Self discipline is easier to develop when you have an accountability partner. Choose any accountability partner, your spouse, parent, friend, or colleague, or if you wish join others that have chosen to challenge themselves. and enjoy genuine support from them. 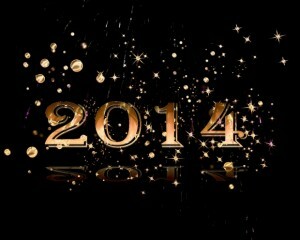 Wishing you all the best in 2014.